On a lovely sunny, but not hot, June morning three generations of our family (myself, son Luke [photographer and video-maker] and my in-laws) loaded as many plastic containers as we could find into the car and drove southwest until we turned right on a road appropriately called Berry Lane. While the four of us have varying degrees of strawberry picking experience, we quickly got to work and began picking all the strawberries from our assigned row. 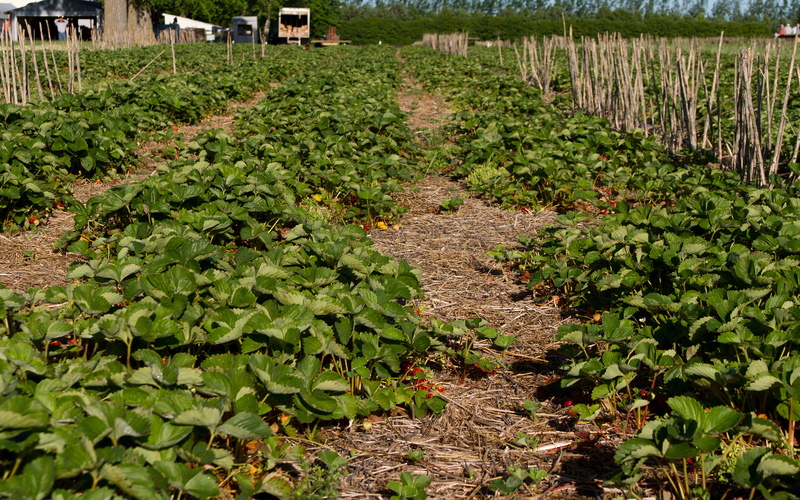 We couldn’t help but smile and dream about all the things we’re hoping to make with our strawberry bounty. In large mixing bowl, stir together all dry ingredients. In a separate bowl, mix eggs, milk, butter, and brown sugar. Add to dry ingredient and stir until blended. Bake in lightly-greased waffle iron until golden brown. 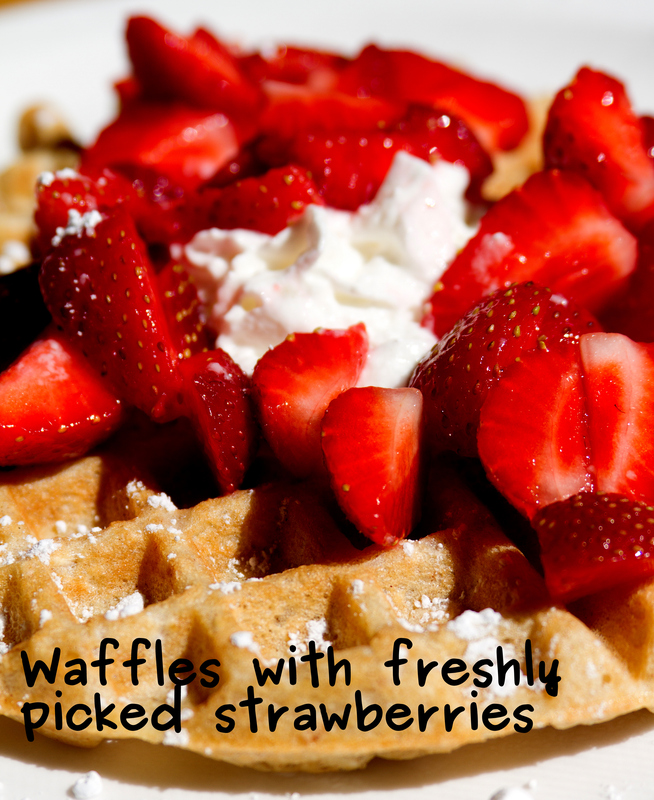 We served these waffles loaded with our freshly picked strawberries cut into chunks. In this ReaLocal Cooking journey that Francine and I have undertaken, I’m starting to realize that slowing down and preparing delicious wholesome food together as a family is the best form of entertainment. At times like this, we all miss Francine. Thank goodness for our ability to imagine…I can already picture the day we’ll discover a local treat and prepare it together when we visit them in England this fall. Until then, this day was berry good. 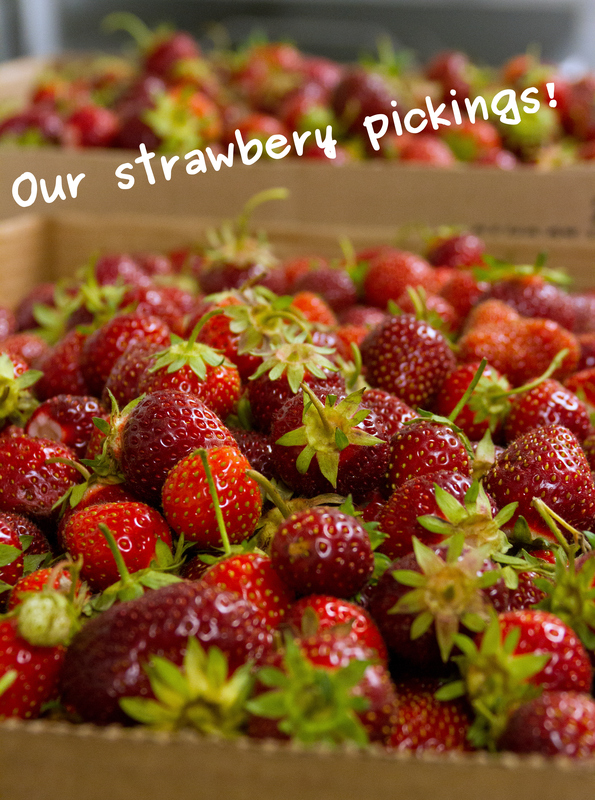 Have you been strawberry picking? 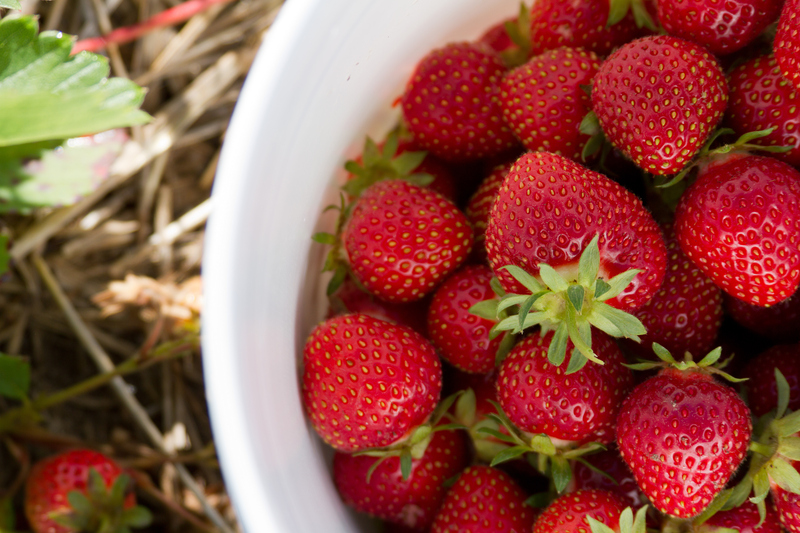 Do you have plans to pick some strawberries this June? Any ideas about what you’d like to prepare with the berries? ← What does an artichoke plant look like? I just made 11 jars of freezer jam with our gorgeous berries! Thanks for the post! Sweet!! Thanks for stopping by! This is a berry good post! Oh Yummy!! Yummy!! — recalling my strawberry picking experience…. I was 10 years old… living in NE… my first job … earned myself 10 cents a basket… enough to buy 2 Ice Cream Cones for me and my sis at Fritz’s Soda Shop. (I didn’t get to keep the berries). Great photography Luke! Sounds like you all turned it into lots of fun too. What a fun memory Grandma…thanks for sharing! Too bed you didn’t get to keep the berries, but I bet you were able to sneak a few in during the picking, I know I would have done that! We’ve always missed the berry picking time at Schumacher’s. These strawberries look beautiful and juicy. Love the waffles recipe. Great post…and photos! Are you the photographer? Thanks! I leave photography to my kids…my son Luke took them. My daughter Francine blogs with me and she takes photos as well.